SendForensics | Visit us at the Cloud & Cyber Security Expo 2017 in Singapore! "No one implementing cutting-edge technology can afford to ignore cyber security. In the face of malicious global cyberattacks, every aspect of your business needs to be secured with confidence. Be it security of Cloud, IoT, Networks, DevOps, Data Centre, Fintech, Big Data & Analytics - cyber security is a very real issue that needs very real solutions. 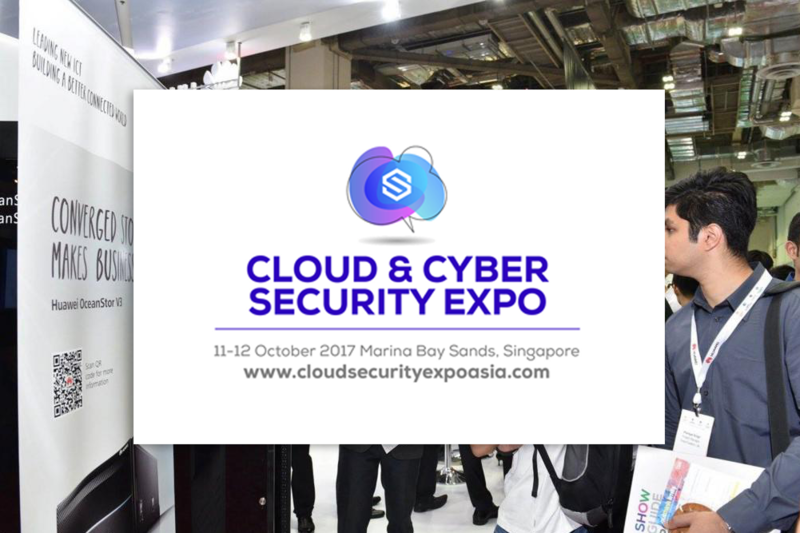 Cloud & Cyber Security Expo, Singapore 2017 is where you will find these solutions - efficient, money-saving, hassle-free and smart cyber security solutions to ensure your businesses are locked down tight and most importantly, allow you to fearlessly employ the latest breakgthroughs and business-winning technology." Visit SendForensics at booth Q9. We'd love to meet you and share how our unique pre-emptive anti-phishing solution can boost security and compliance for your organisation. If you'd like to join us for free register here.